Although OnePlus 3T arrived six months after the original OnePlus 3, both handsets will get the same end of the update life cycle. This way, OnePlus 3 owners will not be left behind those using the more recent 3T handset. 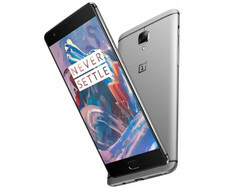 The updated OnePlus 3T arrived quick on the market, only six months after its popular predecessor. However, its appearance also made OnePlus 3 owners worried about the update life cycle of their handsets. Fortunately, it has been confirmed that both flagship killers would get updated side by side, thus increasing the original expectations for the OnePlus 3. According to a confirmation received by Android Authority, "The OnePlus 3 will continue to receive updates alongside the OnePlus 3T until the newer device reaches the end of its update life cycle." However, OnePlus does not reveal any time frame, so when will these devices reach the end of their life cycle remains a mystery for now. OnePlus was not one of those companies to come out with the software updates promptly, sometimes lagging seriously behind the stock Android releases from Google. For now, we know that both the OnePlus 3 and OnePlus 3T should get Android Nougat, as the upcoming firmware is already in Beta stage. Remains to see what will happen in the future and when will the OnePlus 3/3T get their last official update.